Reproduction Sachs Eagle III moped tank decal set. Two Eagle III decals made with custom cut black, yellow and white vinyl. Each decal measures 8″ wide, 2.4″ tall. Made in house at Detroit Moped Works. Be sure to clean the surface before applying this decal for optimal sticking! 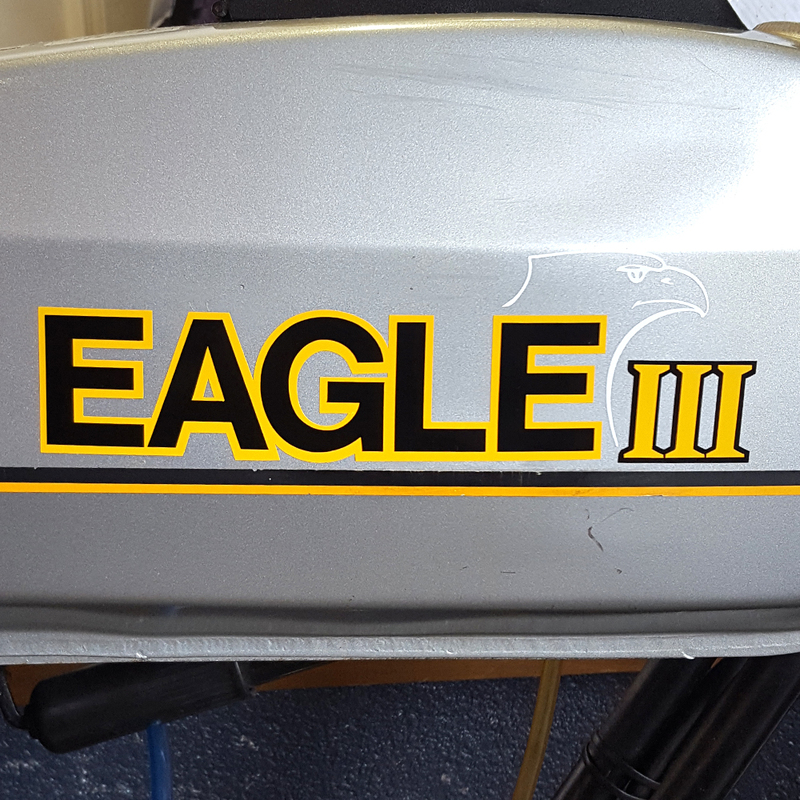 We also have new old stock Eagle I and Eagle II decal sets! Reproduction decals may be made to order and can take 2-5 additional business days to be mailed out.